Easily navigate backwards and forwards throught the commit history of a file under Git Version Control. The buffer shows the file as it was in each change you select. 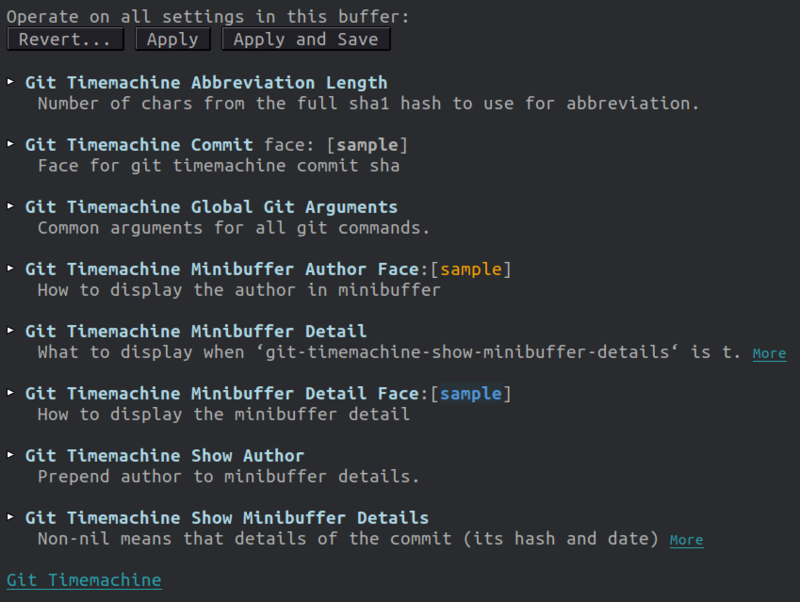 Timemachine seems to work best when you have all the text visible in a buffer or you roughly know where the changes are in the file as you move between commits. SPC g t opens the Git Timemachine transient state. According to the git-timemachine website, b runs magit-blame on the currently visited revision. This keybinding is not part of the git layer in Spacemacs. As the minibuffer already shows author information, it seems redundant to add this option.